The International Team Competition brings another competitive and friendly aspect to race week. 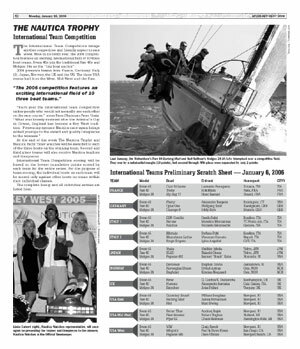 Now in its tenth year, the 2006 competition features an exciting international field of 10 three boat teams. Swan 45s join the traditional Farr 40s and Melges 24s as the “big boat anchor”. 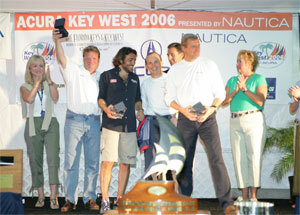 2006 presents teams from France, Germany, Italy (2), Japan, Norway, the UK and the US. The three USA teams hail from the West, Mid West and the East. "Each year the international team competition unites people who would not normally see each other on the race course," notes Race Chairman Peter Craig. 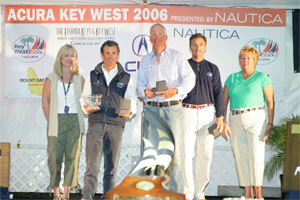 "What was loosely modeled after the Admiral's Cup in Cowes, England has become a Key West tradition. 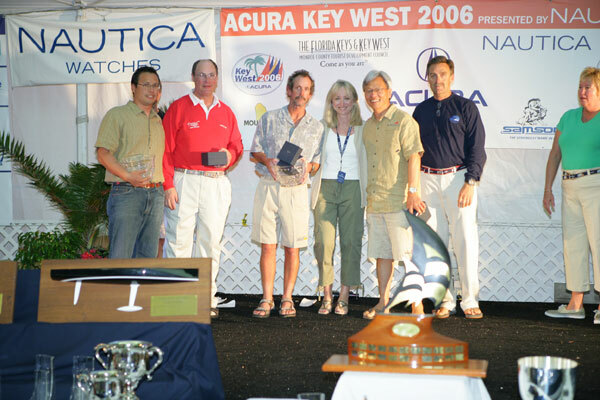 Presenting sponsor Nautica once again brings added prestige to the award and quality timepieces to the winners." 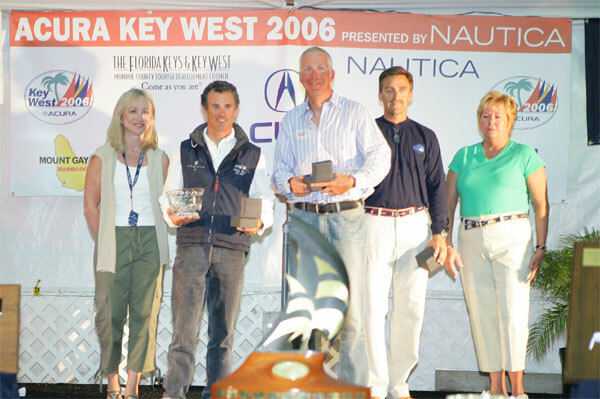 At the end of the week The Nautica Trophy and Nautica Yacht Timer watches will be awarded to each of the three boats on the winning team. 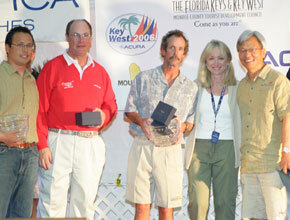 Second and third place teams will also receive Nautica trophies and timepieces. International Team Competition scoring will be based on the lowest cumulative points scored by each team for the entire series. For the purpose of team scoring, the individual boats on each team will be scored only against other boats on teams within their individual classes. See more in Race Week News..